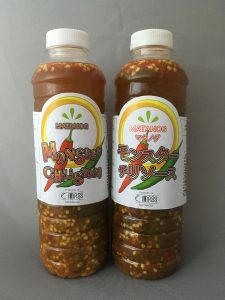 Matanog Monster Sauce | Global Trade Venture Co., Ltd.
We started selling spicy sauce which is very hot and delicious. It is a spicy sauce made from original recipe of MATANOG city, Mindanao Island. It’s up to you as it fits any ingredients. Thank you for your order by e-mail.